The world of “big data” is proving itself to be of benefit in a multitude of fields, hair loss included. According to Google search trends, which – given the sheer volume of internet searches – can be extremely telling, there are distinct patterns when it comes to hair loss which suggest that seasonal hair shedding is a problem for many. So, if you’ve been noticing extra hairs coming out in the shower or when you brush your hair recently, you can take comfort in the fact that you are not alone. According to research undertaken by two doctors at the department of dermatology at the Johns Hopkins University School of Medicine in Baltimore and a colleague at the Washington School of Medicine in St Louis, people are much more likely to search for the term “hair loss” during the summer and autumn months. This correlates with previously observed patterns of hair thinning that have been noted by Belgravia and other experts. What is important to note is that seasonal shedding is normal and is not classified as a hair loss condition as such. Unfortunately, what the Google data doesn’t reveal, of course, is whether or not the searchers had a recognised hair loss condition such as male pattern baldness or, the women’s equivalent, female pattern hair loss – or if they were shedding for other reasons. However, as these two conditions are not known to have seasonal fluctuations, it could be surmised that the increase in searches for hair loss during the summer and autumn months denotes when seasonal shedding is rife. 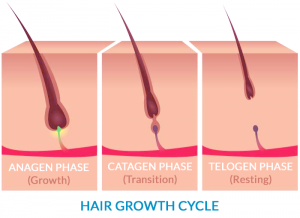 There are several theories behind why people lose hair naturally during the summer and autumn months (often October and November though some studies extend this window to early winter), including the notion that the sun can cause inflamed hair follicles, which leads to hair falling out around three months later. Sweating on the scalp, too, has been put forward as a possible explanation, as has the idea that summer heat causes stress to the body which in turn makes hairs shed in greater than normal numbers. Seasonal shedding tends to affect women more than men, and one Swedish study suggested that women grow more hair during the summer to protect their scalps from UV radiation. Once summer is over, it was put forward, then the excess of hair is no longer needed and it is quickly shed. Unfortunately, self-diagnosing can be fraught with danger, and to assume that autumnal hair thinning is merely seasonal may actually prove to be a bad idea. This is because if the hair fall is actually the result of genetic hairloss, things will not improve in the coming months and, in fact, will likely continue to get worse. Male and female pattern hair loss are progressive, permanent conditions though clinically-proven hair loss treatments – especially when started in a timely fashion – can help to effectively manage these. A key difference between genetic hair loss and seasonal shedding is that female and male pattern baldness only affect the top of the scalp and hairline, whereas seasonal thinning causes hair fall from all over the scalp. It can be difficult to spot this yourself though, so anyone experiencing post-summer hair loss is advised to get a professional diagnosis if they are concerned, just to be clear as to the exact reasons why hair is falling out. Seasonal shedding or genetic hair loss? If genetic hairloss is found to be the problem, then there are clinically-proven MHRA-licensed and FDA-approved medications that can help to stop hair falling out and encourage new regrowth. Male pattern hair loss treatment is widely used by men interested in stabilising hair fall, encouraging regrowth and preventing baldness. The starting point is often a product named finasteride 1mg, a one-a-day tablet which inhibits the conversion of testosterone into dihydrotestosterone (DHT) – the by-product which causes gradual hair miniaturisation along the top of the scalp, often forming a receding hairline or a thinning crown. It binds to the sensitive follicles in these areas, slowly destroying them. As they become smaller and weaker, this displays outwardly as thinning hair or receding and – in men particularly – can lead to eventual baldness if left unchecked. 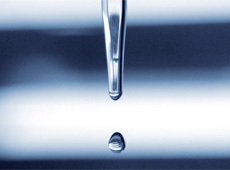 By minimising the amount of DHT in the system, hair growth should continue unhindered. However, finasteride’s effect on frontal hair loss is unproven. The vasodilator high strength minoxidil, which comes in a number of solutions all of which are applied directly to the scalp where needed, helps to promote localised blood flow, encouraging healthy hair growth. This can be used alone or in conjunction with finasteride 1mg. This approach – whereby either or both of these recognised treatments are used – can be beneficial when dealing with genetic hair loss in men. Women seeking Female Pattern Hair Loss treatment are able to use appropriate minoxidil solutions, too though finasteride 1mg is only available to medically-suitable men aged 18 years and over. Both men and women can further augment these hair regimes with supplementary use of hair growth supporting products. 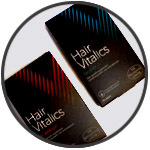 These include follicle-stimulating low level laser therapy, delivered via the FDA-cleared LaserComb, and nutritional support via highly-targeted Hair Vitalics food supplements which include key vitamins, minerals, amino acids and botanical extracts, including selenium, biotin and zinc for the maintenance of normal healthy hair growth. If a diagnosis finds that seasonal thinning is the cause of the shedding, then it may be helpful to remember that the hair growth cycle of all mammals fluctuates depending on the time of year. The new data pertaining to Google searches perhaps illustrates better than anything that hair really can be affected by the seasons. Can Radiator Heat Damage Your Hair?